As a wide-open environment, the Internet has allowed a large criminal element to thrive. For evidence, look no further than the escalating growth of botnets and distributed denial of service (DDoS) attacks that have been publicized in recent news. 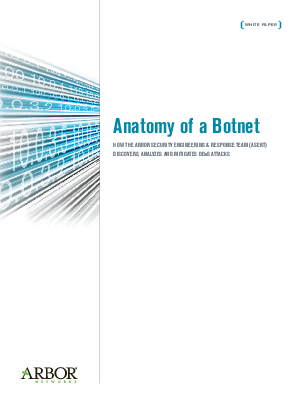 Download this paper to learn how emerging botnet and DDoS threats are identified, analyzed and mitigated to help protect organizations like yours from their impact.